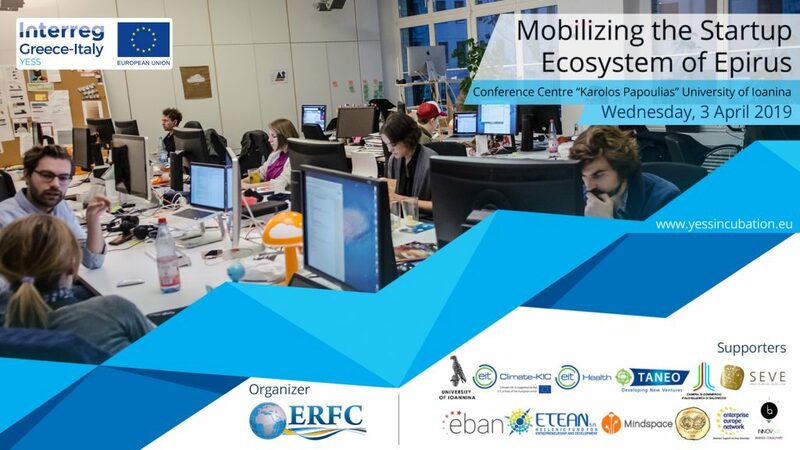 The Young Entrepreneurship Startup School (YESS) Project is hosting their Mobilizing the Startup Ecosystem of Epirus event in Mpizani, Greece on the 3rd of April. YESS aims to create the first Cross Border incubator for innovative start-ups in the fields of tourism, design, bluegrowth, and e-health within the Regions of Apulia, Achaia, Ionian Islands and Epirus. Mobilizing the Startup Ecosystem will feature key panelist discussing the future of the startups in each sector and presentations from international speakers. Join YESS and explore the entrepreneurial opportunities in the south of Italy and Greece.